Over the course of his distinguished NHL career, Lindros accumulated career totals of 372 goals and 493 assists for 865 points. The 6-time NHL All-Star was the recipient of both the Lester B. Pearson Award (NHLPA Most Outstanding Player) and the Hart Trophy (Most Valuable Player) in 1994-95. ‘The Big E’, as he came to be known within the hockey world, made an immediate impact on the league with his offensive talent and imposing physical presence. Lindros is identified by most fans by his time in Philadelphia where he played eight seasons with the Flyers. The bulk of these years saw Lindros center the famous ‘Legion of Doom’ line with John LeClair and Mikael Renberg. Lindros captained the Flyers from 1994-95 through March 1999. 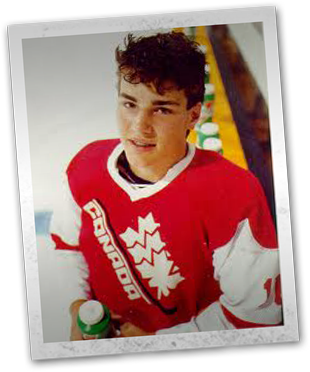 On the international stage, Lindros appeared in over 90 games with the Canadian Maple Leaf on his chest and has one of the most impressive international resumes of any player to ever represent Canada. He suited up in three World Junior tournaments for Canada (1989-90, 1990-91, 1991-92), serving as captain in 1990-91 and 1991-92, and capturing gold in 1989-90 and 1990-91. He also donned the red and white Canadian sweater in the 1991 Canada Cup, as a teenager, where he was a member of the championship-winning Canadian squad. 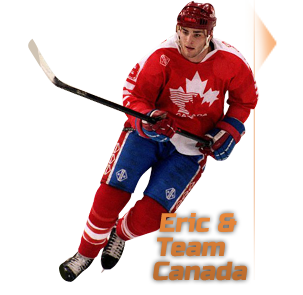 Lindros would also represent Canada in three separate Olympic games: 1992 in Albertville, France (silver medal); 1998 in Nagano, Japan (4th place), where he served as Captain; and the 2002 games in Salt Lake City, Utah. In Salt Lake, Lindros contributed to the team that brought the Olympic hockey gold medal back to Canada for the first time in over fifty years. He also suited up for Canada at the 1996 World Cup of Hockey, where his Canadian side was defeated in the final series by Team U.S.A. 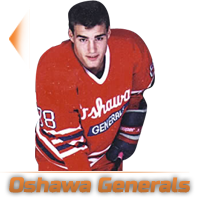 Prior to his professional career, Lindros was a household name at the junior level, starring for the Oshawa Generals of the Ontario Hockey League, guiding them to a Memorial Cup title in 1990. 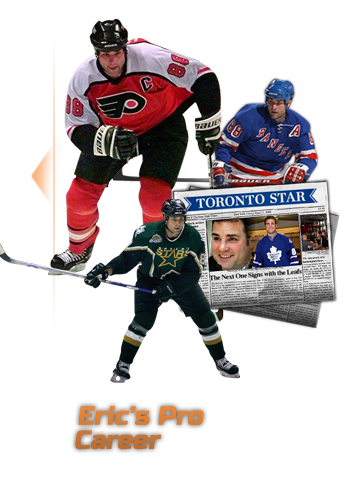 Lindros, who retired from hockey in November 2007 after sustaining several concussions during this career, now lives in Toronto where he pursues business interests and continues to enjoy playing the game of hockey with friends.